In a way, this record is a companion piece to Spinning Song, the CD John Zorn asked me to make about 20 years ago, devoted to the music of Herbie Nichols. Certainly Nichols, like Thelonious Monk, was a brilliant and very significant pianist/composer, and the music of both men presents similar challenges for solo guitarists. But there’s an important difference, which is that I had never arranged any of Nichols’ music when I took on Spinning Song, but had been fooling around with Monk’s tunes for almost all of my musical life when I made these recordings. Growing up in the 1960s, you just knew by some sort of cultural osmosis that Thelonious Monk represented the cutting edge. Even a middle class white boy in a square, southern town knew that. I was a teenager playing rock and just getting into blues musicians like Robert Johnson and Muddy Waters when I decided I needed to find out what Monk was about, and took a few of my paper-route dollars over to Sears and bought “Misterioso” (the Columbia LP, which was new at the time). I did not understand a note of the music on that record, but within a minute or two I was completely hooked. Around the same time, a slightly older kid at a local coffeehouse showed me a simple version of “Blue Monk,” which I have played in some form or other ever since. I also remember trying to figure out “Off Minor” in about 1968, when I was living in Vancouver BC. I managed to pretty much get the A section by ear, but the B was way beyond me – I couldn’t even play swing tunes at that juncture. But I kept listening to Monk, and kept absorbing bits and pieces. Ton Van Bergeyk showed me some of the voicings he had figured out for “Blue Monk,” for instance, in the late 1970s, and around the same time I arranged a version of “In Walked Bud” in the fingerpicking style I was using for swing material (and borrowed Eric Dolphy’s opening for “Green Dolphin Street,” for the bass line, as many will note). Davy Graham showed me the melody for “Straight, No Chaser,” though I think my arrangement of it only took shape years later. I remember Michele Calgaro showed me his arrangement of “Light Blue,” which I modified only slightly, in the 1980s sometime. And so on – the point being that this is how working musicians naturally develop a repertoire over time. By the time of our new century, I was working with people who really had a deep relationship with Monk’s music, people like Ben Goldberg, Michael Moore, and especially Roswell Rudd, whom I got to know while trying to solve Herbie Nichols. There are voicings on two or three of these tunes that came from Ros walking over to the piano and holding down some crazy chord – “That’s the sound you want: those notes there” – until I found some way to do it on the guitar. For the rest, I will point out the obvious – I never was trying to sound like any jazz guitarist when I played solos. I wanted to sound like a cross between Sabicas, Sundaram Balachandar, and Charles Mingus when I was soloing, and maybe a cross between Merle Travis, Blind Blake, and Joseph Spence when I was picking. And I wanted a “folky” approach to blowing the improvs, though getting into what I mean by that is beyond what is needed here. Of course Steve Lacy really unlocked a lot of doors for me (and everyone else) when it came to spinning out a spontaneous melody line over these great structures, on his own, and letting it go wherever it needed to go. Whether I managed to actually do any of what I wanted to do, I leave for others to decide. I will say that I loved trying to do it! But, as the fellow says, that’s enough about me. At some point during the last year of the last century, when people were involved with listing the greatest writers, painters, books, movies, recipes, of the 1900s, I mentioned to Roswell that one of the jazz magazines had asked writers for opinions about the greatest jazz musician of the century. It seemed to me that any such choice would be mostly symbolic, and would boil down to Armstrong, Ellington or Parker, but Roswell stopped me, pointing that the musician who took the music forward the furtherest from the point where he found it was Monk. 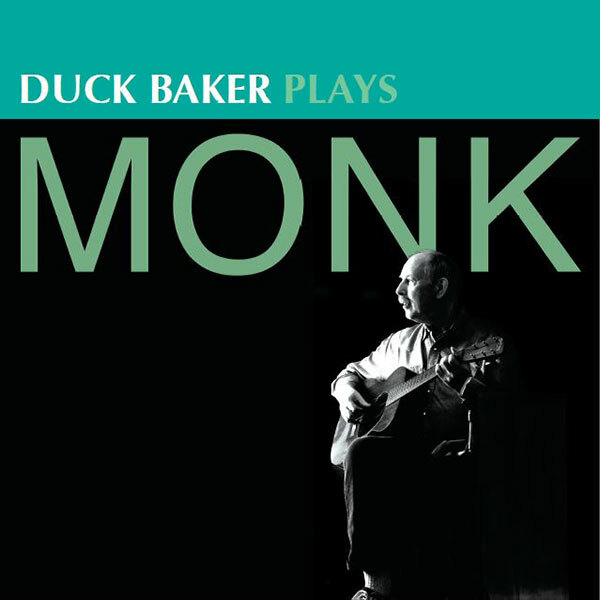 Monk took the same step from swing to bop that Parker, Christian, Gillespie, and the other early modernists took, and then took another giant step all his own. It basically took the jazz world another generation to even start to catch up. Viewed that way, Thelonious Monk is not only our greatest genius, no one else is even close.